Our stately waterfront property in Kelowna has become a landmark for the city and a world-renowned destination for the Okanagan Valley. 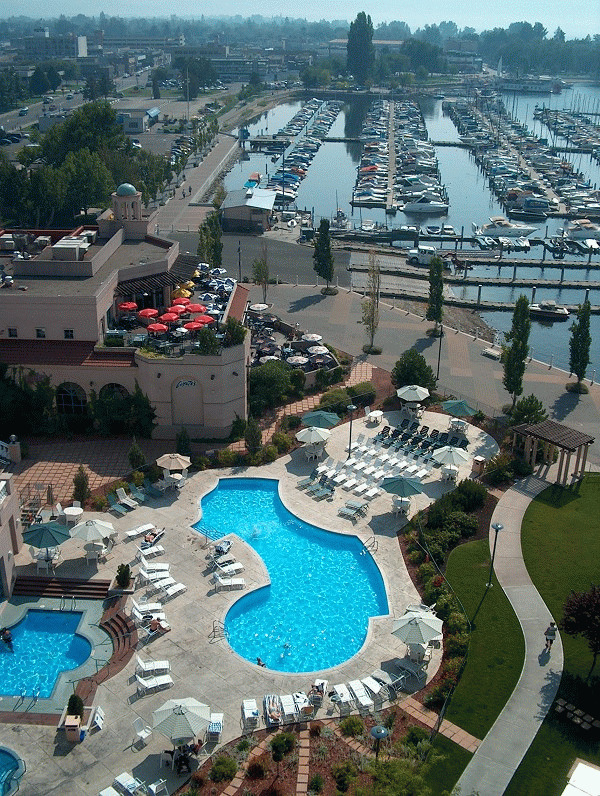 Ideally situated on 7 acres of waterfront parkland, our spectacular resort setting is accessible to the main downtown core via a roaming waterfront boardwalk. At our doorstep is Kelowna's thriving arts and cultural district with boutiques, art galleries, museums, cafes and restaurants, as well as Kelowna's major entertainment venue, Prospera Place, directly across the street from the resort. All of our 320 rooms are equipped with remote-controlled colour cable televisions, iron and ironing board, in-room movies, AM/FM radios, coffee machines with complimentary tea and coffee, two telephones with voice mail, high speed wireless internet access, newspaper service, large working desk, 2 bath robes, along with our signature sanctuary bed. Laundry and valet service available and safety deposit boxes are available at the front desk. 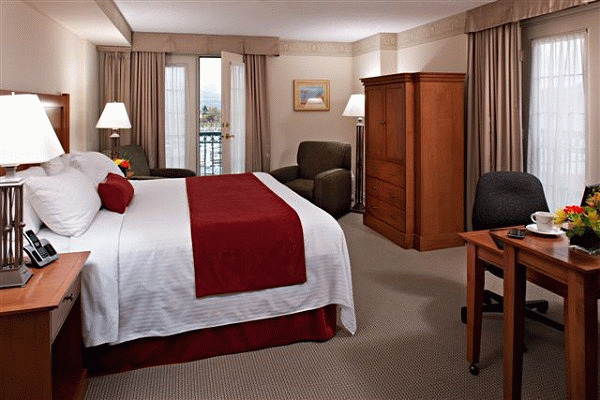 All of our guestrooms are non-smoking. 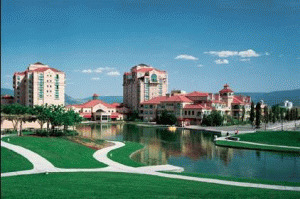 Please visit Delta Hotels by Marriott Grand Okanagan Resort Website.